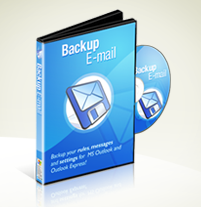 About our popular Backup E-mail tool. And if you don't find what you're looking for, contact us on the chat widget below and ask our support technicians direct. Which e-mail clients does it support? Backup E-mail fully supports ALL recent versions of Microsoft Outlook and Microsoft Outlook Express. That includes Outlook 2000, 2002, 2003, 2007, and 2010, and Outlook Express 5.0, 5.5 and 6.0. It also fully supports ALL versions of Windows Mail and Windows Live Mail. Can I backup from Outlook and restore to Express? Can I backup Outlook 5 and restore to Outlook 6? If you're experiencing difficulties with our program or site, simply contact us via our dedicated support site from the chat widget below. We guarantee to answer all of your questions quickly and efficiently, with technicians regularly available to assist you.